The two-year training is structured around a series of 8 project workshops + 3 reflective workshops at 6 different higher education institutions: Urban planning as well as architectural and artistic issues – open questions virulent to the cities & regions of the participating universities – will be examined at all scales; multi-dimensional planning processes, design and communication strategies constitute integral parts of a democratic culture of building to transform existing buildings and urban quarters with regard to ecological sustainability. Problems will be resolved in the context of cultural heritage and pre-existing structures. All metropolitan areas of Europe have to rethink and to transform urban or regional neglected districts. The project-oriented workshop sequence enables to focus questions with a local, but superordinate relevance within a defined geographical and cultural context. Next to traditional know-ledge about project work, the handling of complex tasks necessitates scientific, artistic and creative methods to carry out the “design of processes”, to develop analytic examinations, projects and programmes. 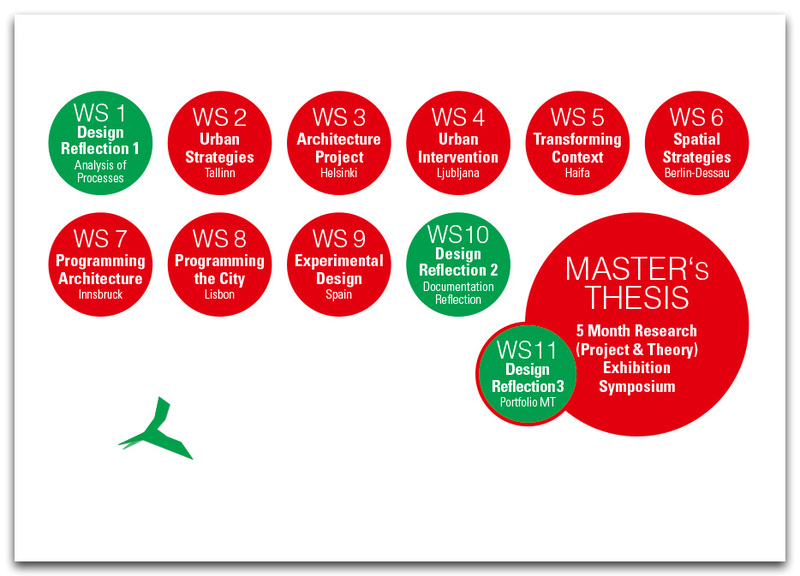 Master’s Thesis in research teams with integrated WS11 Design Reflection 3 & Symposium [TTÜ & UAL & Partner Universities]. Students work together with local experts and professors and will be immersed in different approaches to research through design & design thinking, in order to experience the complexity of cultural attitudes toward architecture and urban design. The broader aim is the enrichment of the pan-European architectural discourse and a renewal of architecture education, thus reinforcing students’ range of experiences and sense of social responsibility, vision and capabilities – as necessary skills for a top leadership role in the professional field – within an international and interdisciplinary network. Architectural practice has to deal with complex problems today. The tremendous transformation of the European city requires individuals who are able to perceive things in association, as team-generalists. What are relevant fields today of rethinking cities beyond the limits of growth? How do phenomena such as de-industrialization, touristification or the never-ending urban sprawl affect architect’s profession? And: How do we accumulate architectural knowledge and generate site specific solutions in a socially responsible mind-set, together with students, professors and local experts? The new postgraduate programme is a unique and innovative approach to international architectural education: it combines the idea of the classical artist journey with the intensive, interdisciplinary and project-oriented workshop tradition and team-work, focusing on acute topics generating architectural knowledge and dialogue across greater Europe between cities as Tallinn, Lisbon, Helsinki, Berlin, Ljubljana, Innsbruck and Haifa. Education related to practice in the architecture tradition of university is understood as responsible and social oriented research work on relevant topics of the society. The reformer Wilhelm von Humboldt, who co-founded the university of Berlin in 1809, formulated the humanistic ideal of the unity of education and research with young people. He initiated a tradition, which until nowadays represents the ideal of the European research university, educating self-responsible individuals as members of a civil society and within lively research contexts. Beyond Germany’s tradition and not entirely unchallenged in times of financial crises, today the European universities represents a critical and open-minded institution for the architecture discipline and its’ high-quality teaching and research; multi-perspective investigations of relevant questions and the genesis of knowledge are worked out by students and professors in cooperative low hierarchies and interdisciplinary project contexts. Learning, teaching and research work are integral parts of project work also as a didactic method. The topics deal real problems and future options of living spaces of concrete urban societies nowadays, developed in dialogue with local governors and responsible activists. 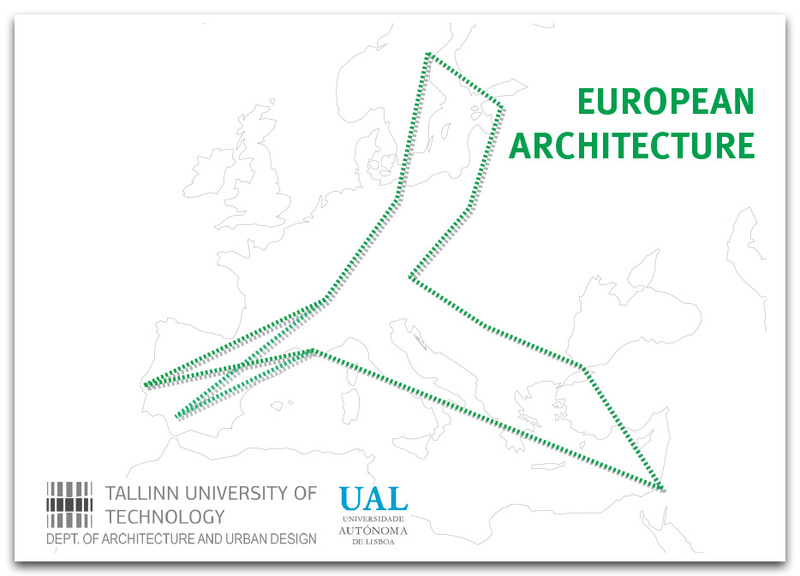 The 2-year „European Architecture Scholarship“ is available for selected students of Portugal and Estonia; the „Reiseuni_lab Scholarship“ is available once a year for registered international students of TTÜ from all other countries. 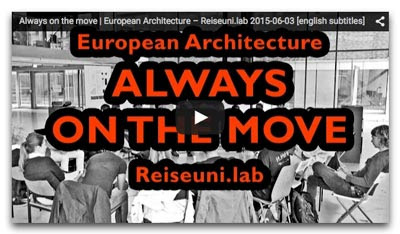 The Reiseuni_lab utilizes the reformation of the European system of higher education “after Bologna“, to generate and exchange knowledge between cities and institutions – interdisciplinary architecture faculties, schools of fine art, non-academic institutions – within the frame of a research-oriented postgraduate Master’s programme. In 2008, the Reiseuni_Lab was founded in Berlin by Dagmar Jäger & Christian Pieper with the aim, to initiate a European pioneer architectural research platform & think tank with universities, professors, stakeholders and young professionals as real laboratory about controversial problems of European urban living today. The Reiseuni Charter – concept & starting point of the project in 2008 – is condensing the philosophy of the network in 7 points. Four ‚Kitchen Round Tables’ in Berlin with professors & students of art, architecture and urban planning served not only to share menus throughout Europe, but also to enter into the discourse about research experiences in international contexts. The first conference, the ‘European Architecture Dialogue 1’ took place at BTU Cottbus in 2010. After following EAD-conferences in Innsbruck, Kiel, Berlin and Tallinn, today, the interdisciplinary lab integrates professionals of about 10 universities of Europe & Israel. The Academy of the Arts, Berlin is supporting the network since 2009 as platform for exhibitions and meetings. Disclaimer: This post describes the master's degree programme for the classes which started in 2015 and 2016 at TUT. The content of this post is not contractually binding. Tallinn University of Technology www.ttu.ee/en reserves all rights to change the information without prior notice.